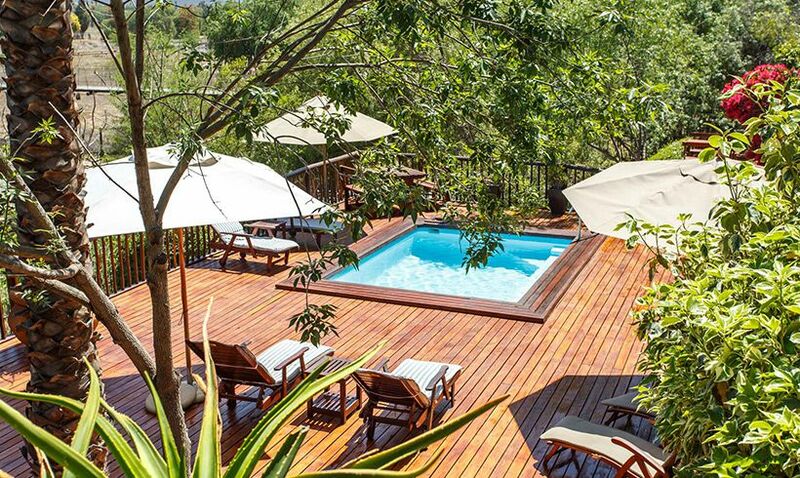 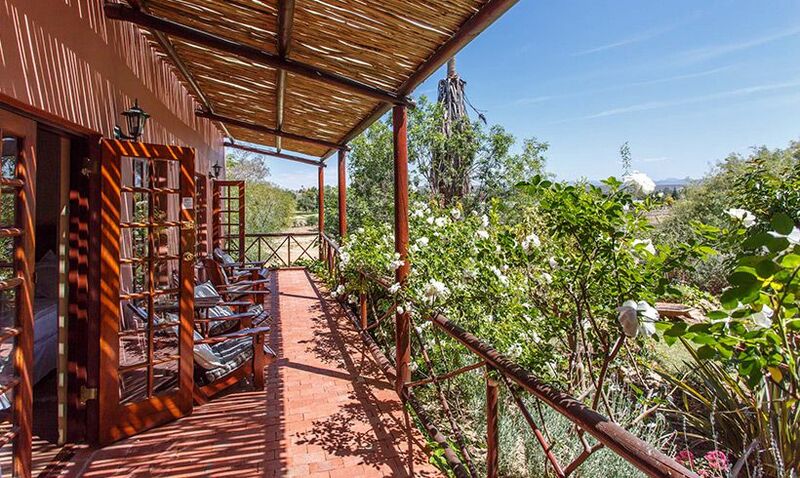 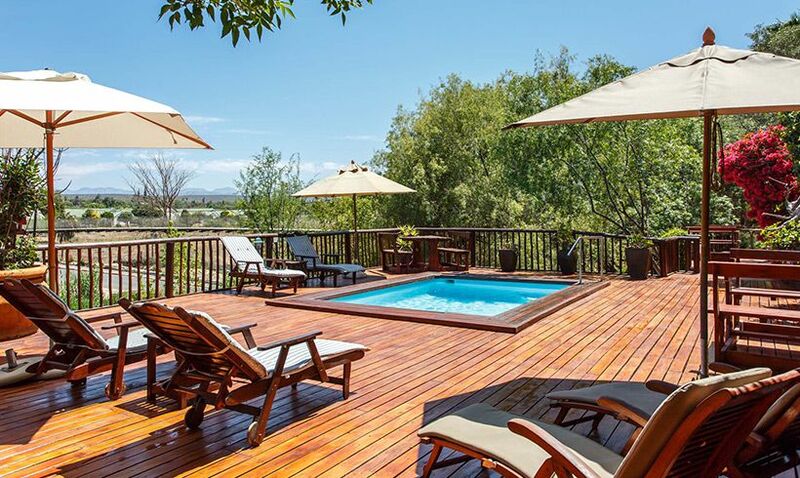 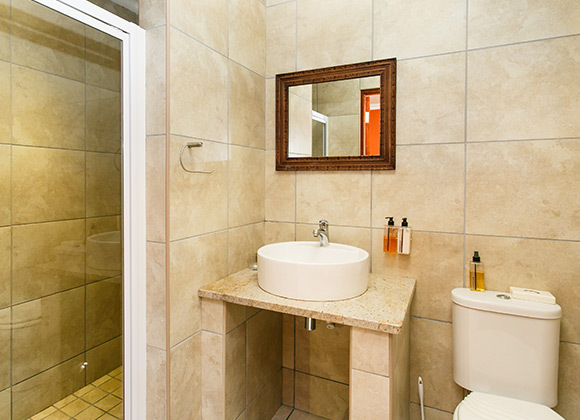 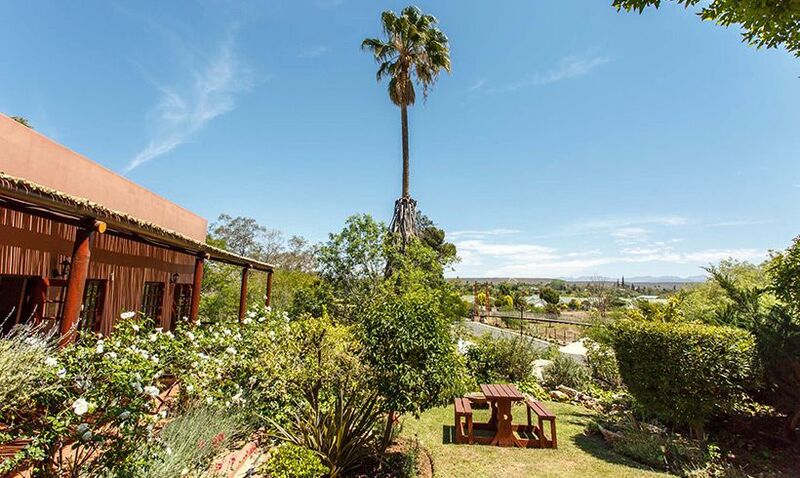 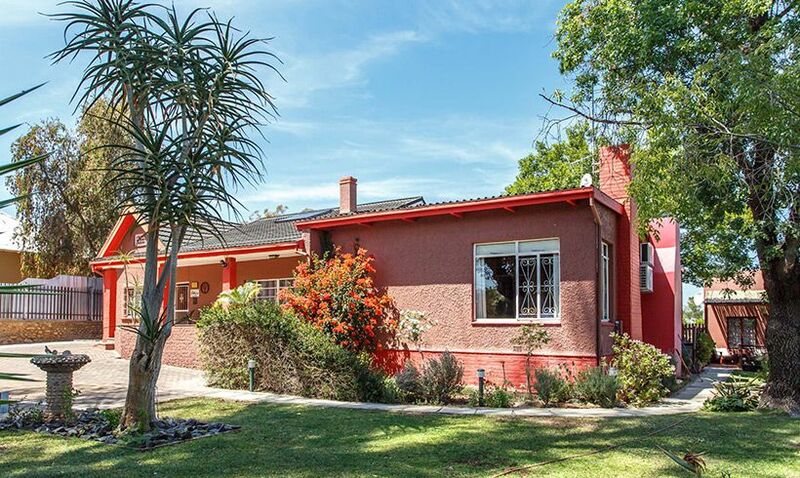 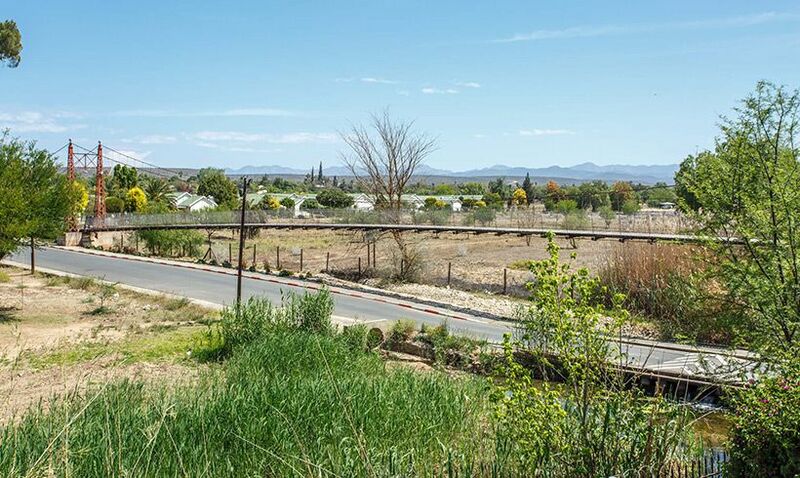 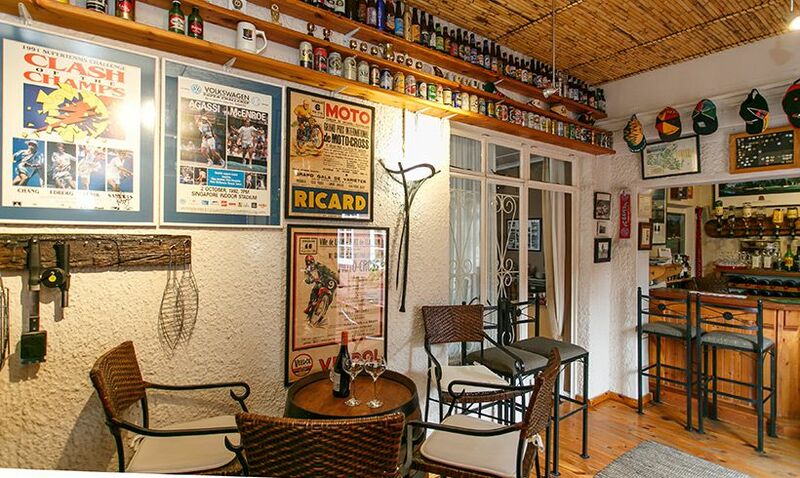 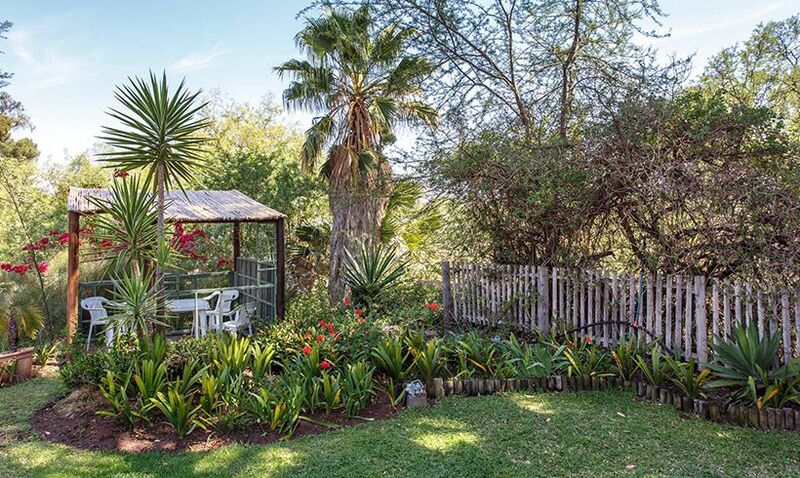 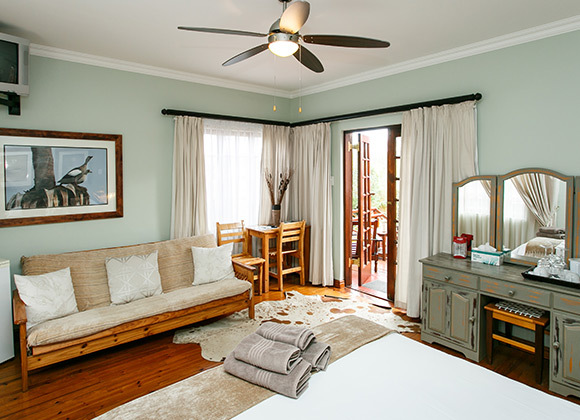 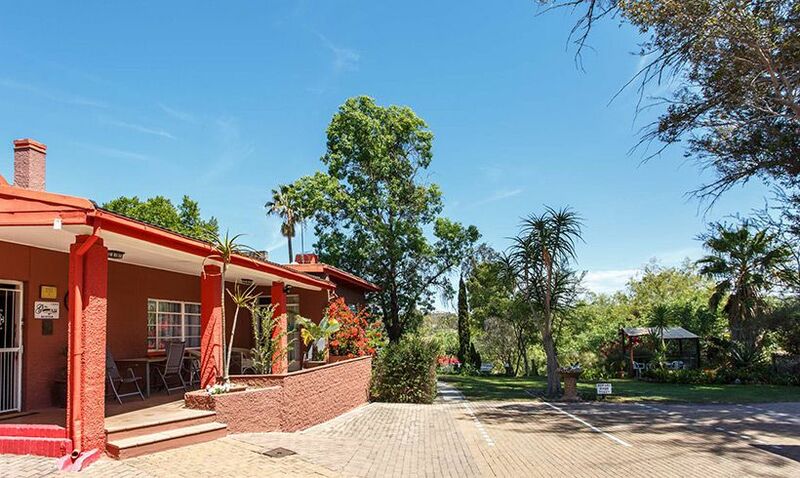 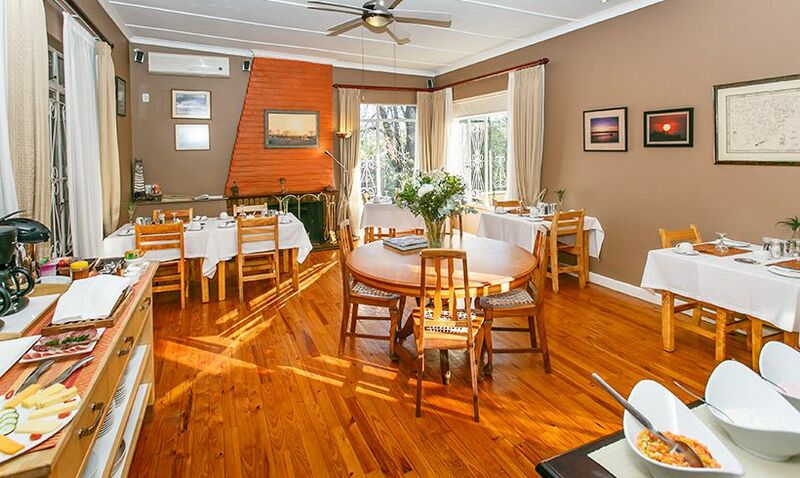 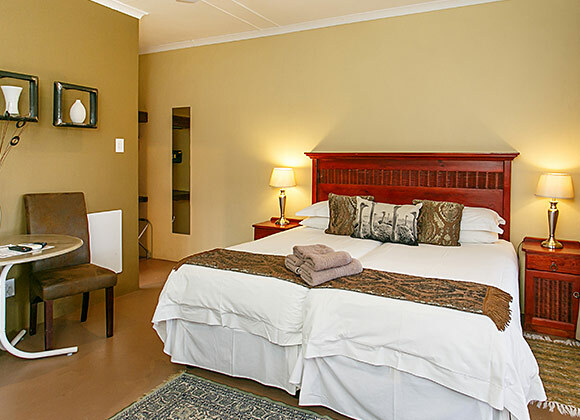 Click here to book your Oudtshoorn accommodation. 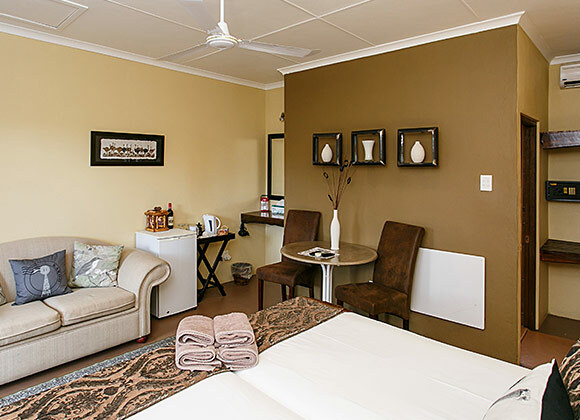 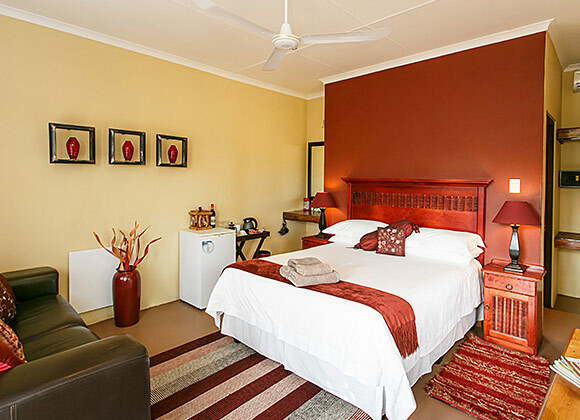 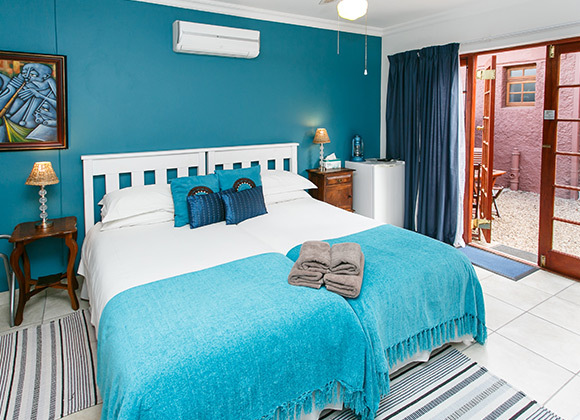 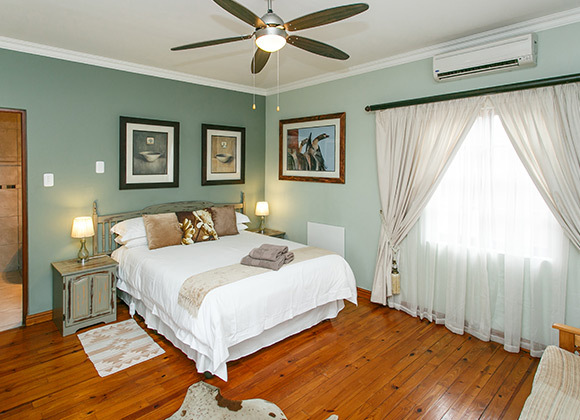 Our rooms are all en-suite and offer the comforts of air conditioning and ceiling fans, international electrical outlets, hairdryers, toiletries, wall heaters and electric blankets for winter, tea/coffee trays and honesty bar/fridges. 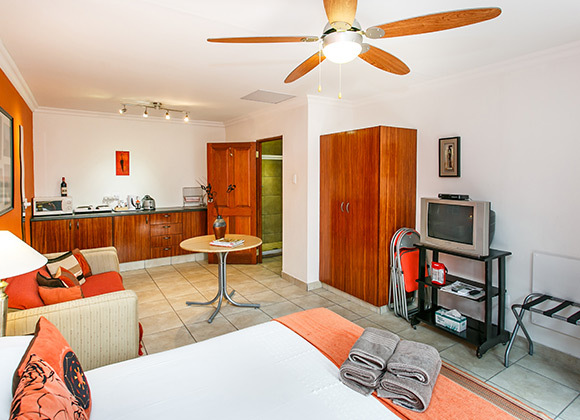 All rooms are equipped with televisions with satellite channels and have wireless internet (WiFi) access. 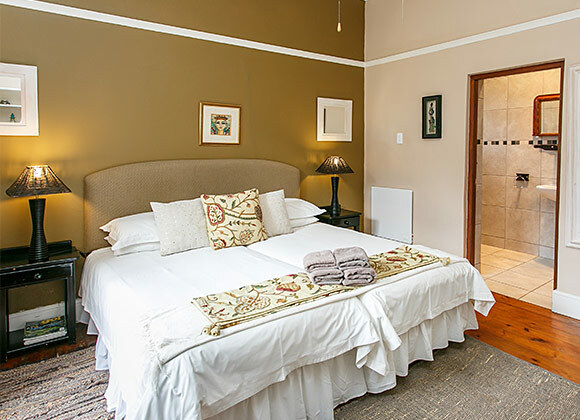 Each room has its own external entrance. 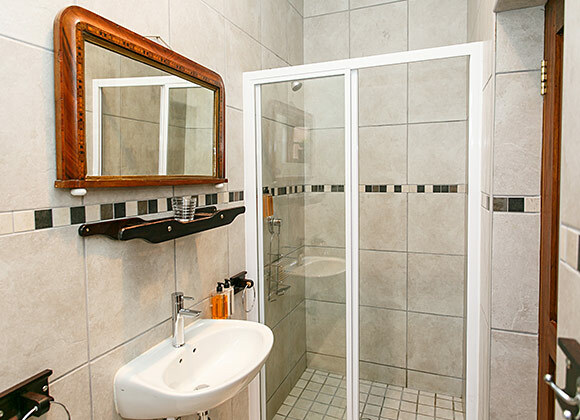 Amenities available to guests include laundry services, telephone, fax and e-mail facilities. 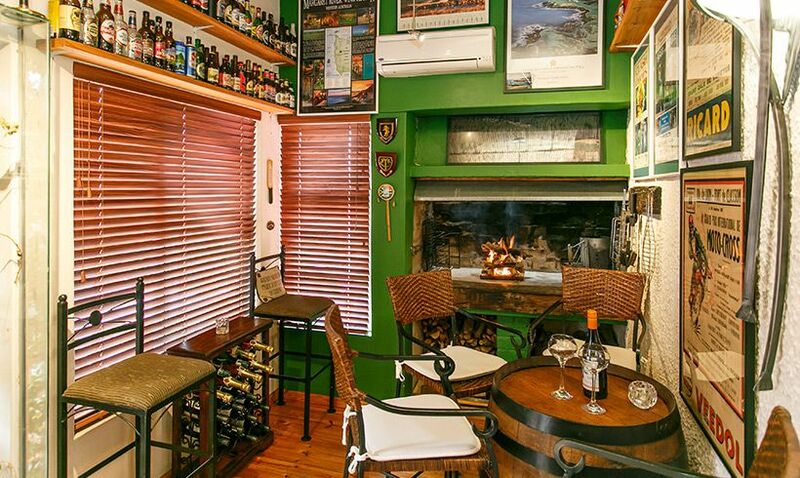 We are fully licensed and offer a cosy bar which is ideal for pre-dinner cocktails or post-dinner nightcaps on request. 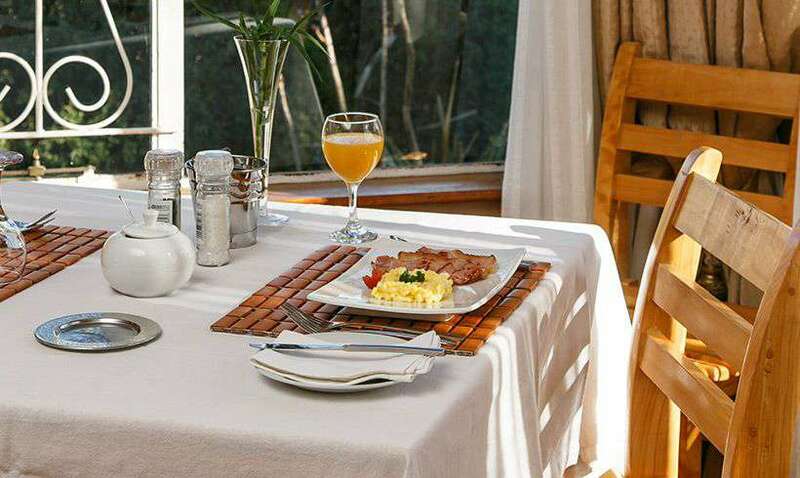 Each morning we serve a great breakfast featuring an array of local produce, consisting of fresh home-baked bread, fruit-salad, cereals, yoghurts, local cheeses, cold meats, plus a hot (cooked-to-order) breakfast of your choice. 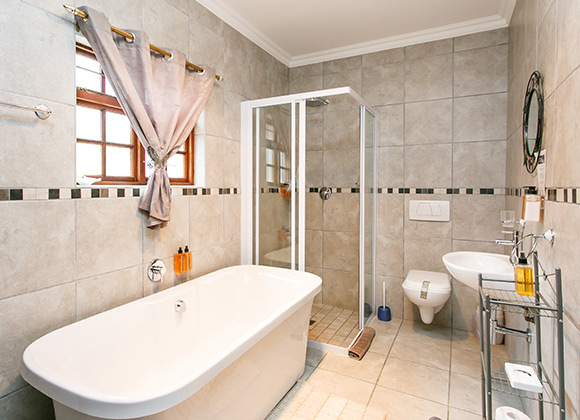 Standard en-suite bedroom (with two single beds). 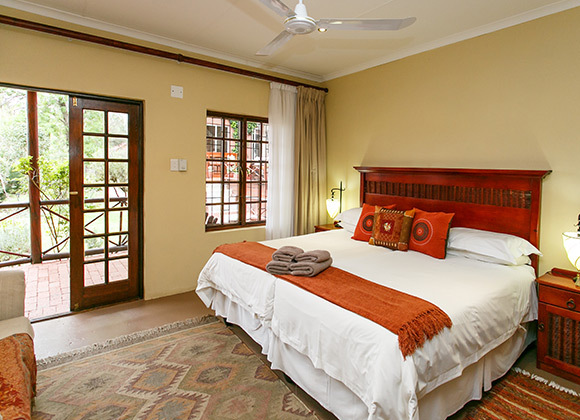 Four Superior rooms, two with queen beds and two with twin beds (which can be converted to King doubles). 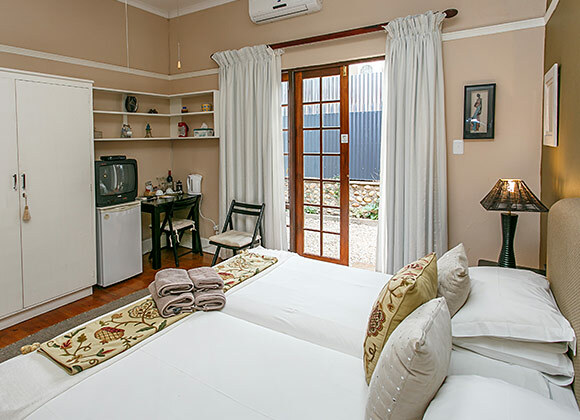 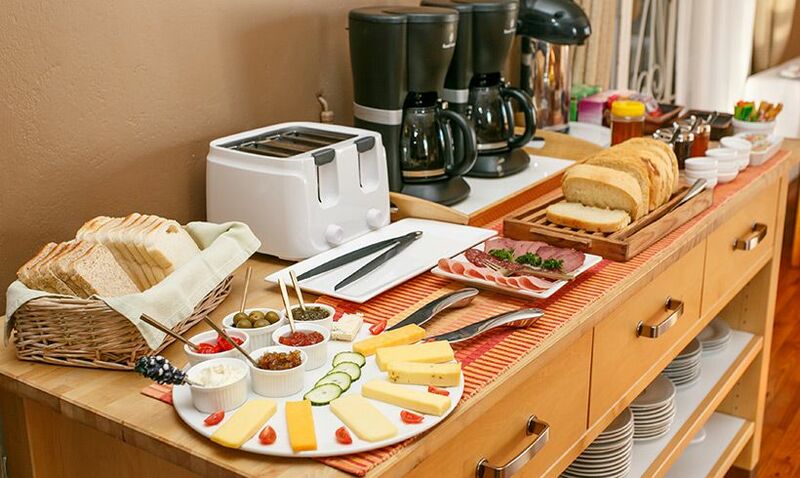 Fully equipped, self-catering. 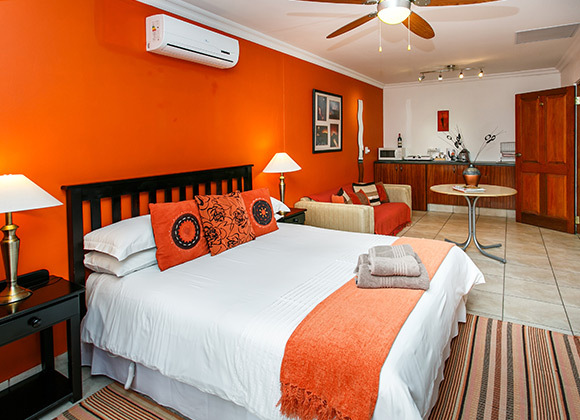 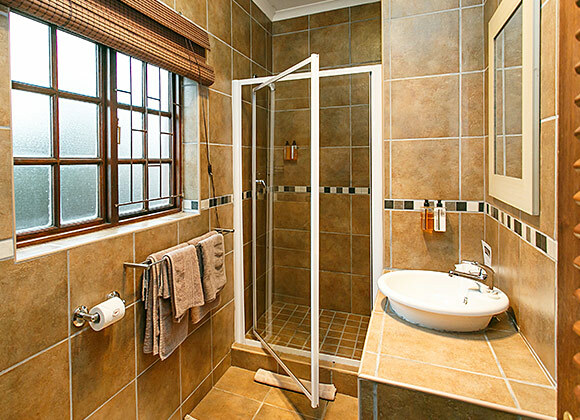 (Two Bedrooms each with their own en-suite bathrooms, one queen double and one with twin beds). 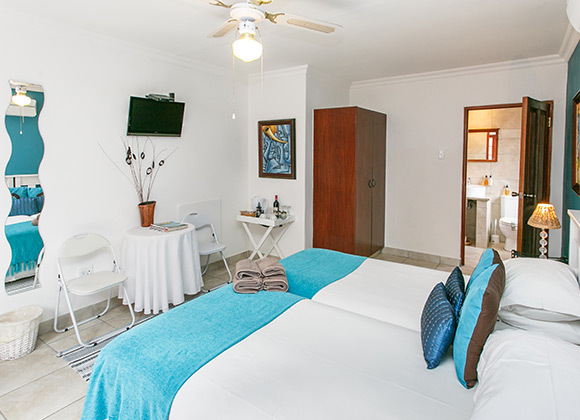 These two rooms can also be booked separately.